Wake up early this morning and start driving towards the famous Tiger Hill (11 km) to experience a sunrise like never before. As you pass through, thick forests of oak and magnolia, get ready to enjoy a sunrise over Kanchenjunga Peak (subject to clear weather). 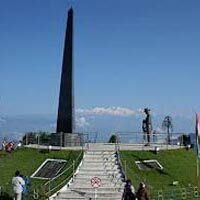 Tiger Hill is famous to offer a panoramic view of Mount Everest and Mount Kanchenjunga together. As the first rays of the sun hit the place, you get to see the twin peaks of Kanchenjunga painted in shades of pink and orange. On reaching the hotel, have your breakfast and go for your next round of sightseeing. Start with a visit to Padmaja Naidu Zoological Park, which is well-known for its exotic flora and fauna. 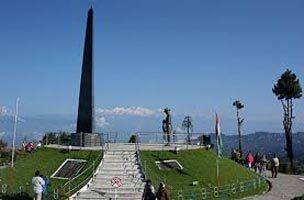 Visit Peace Pagoda, another major tourist attraction of Darjeeling. The place is believed to be a symbol of peace and spirituality. There is a Buddhist temple and monastery located near Peace pagoda. Done up in traditional Japanese style, they offer a serene ambience to meditate. Breakfast in the morning and then take a transfer to Gangtok, located at a distance of 96 km from Darjeeling.